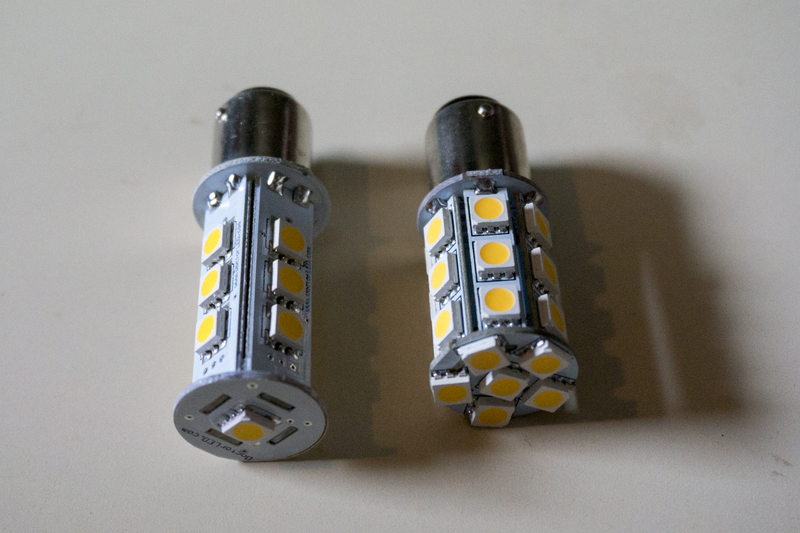 HQRP was offering very similar LED bulbs, but at $9 a piece, or 4 for $35. While still not as affordable as incandescent bulbs, I found that price much more appealing, so I placed an order for one. Pictured above is the Dr. 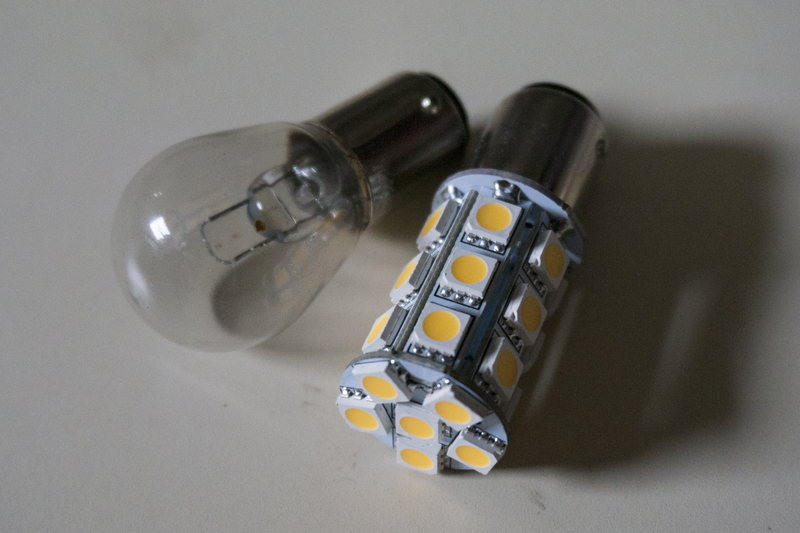 LED bulb, left, with the equivalent HQRP bulb. Dr. LED has 4 rows of 3 LEDs and 1 LED on the end. HQRP has 6 rows of 3 LEDs and 6 LEDs on the end. If you’re not a fan of math, that’s 11 more LEDs packed onto each bulb. The Dr. LED bulb is 2 watt with a .18 amp draw. The HQRP bulb is 2.5 watt with a .3 amp draw. Like the Dr. 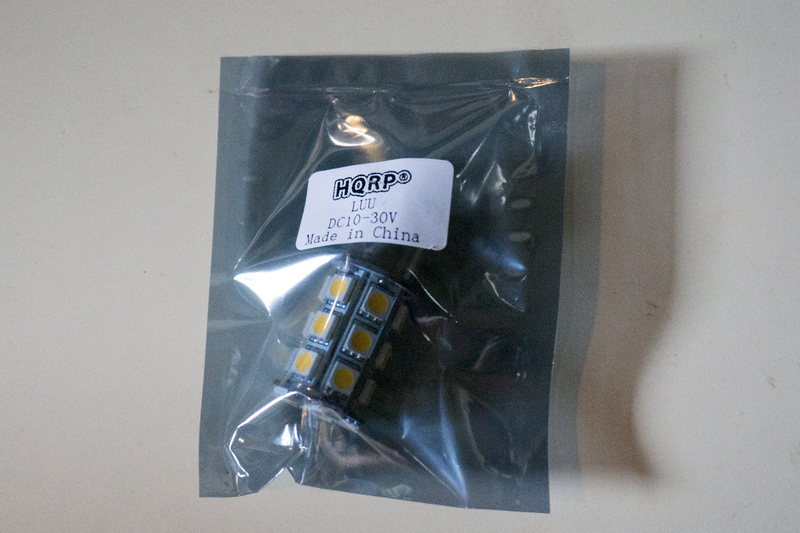 LED bulb, the HQRP bulb showed good quality control and soldering, and all of the LEDs lit up when it was plugged in. And just like the Dr. LED bulb, the HQRP bulb put off plenty of light. Could I tell if those extra 11 LEDs made it any brighter than the Dr. LED bulb? Nope. 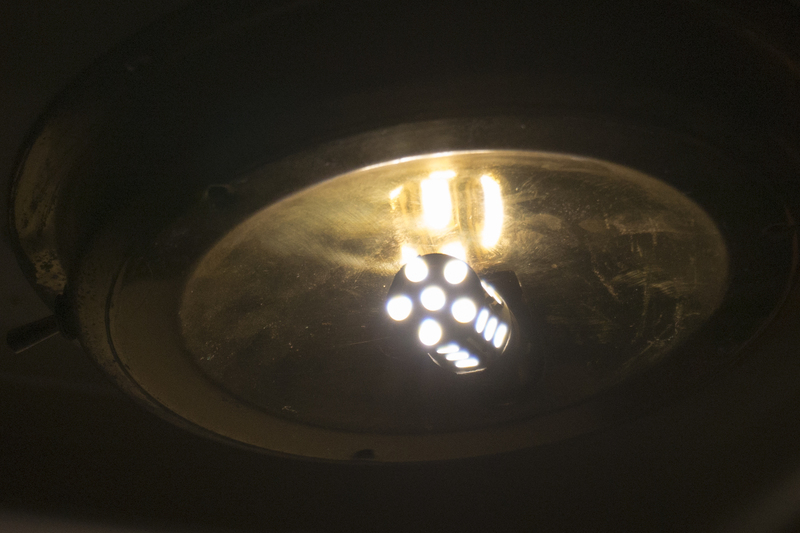 Having put the HQRP bulb into the head’s dome light for the comparison test, I now had the Dr. LED light in my hand and the freedom to go change another light in the boat. That’s where I ran into some trouble. My light fixtures in the salon are slightly different than the one in the head, and the big ring at the base of the Dr. LED bulb did not have enough clearance. It would go into the socket, but there was a noticeable amount of tension on the bulb where it was pressing against the fixture. I was actually worried it would break the bulb if I left it in there. The Dr. 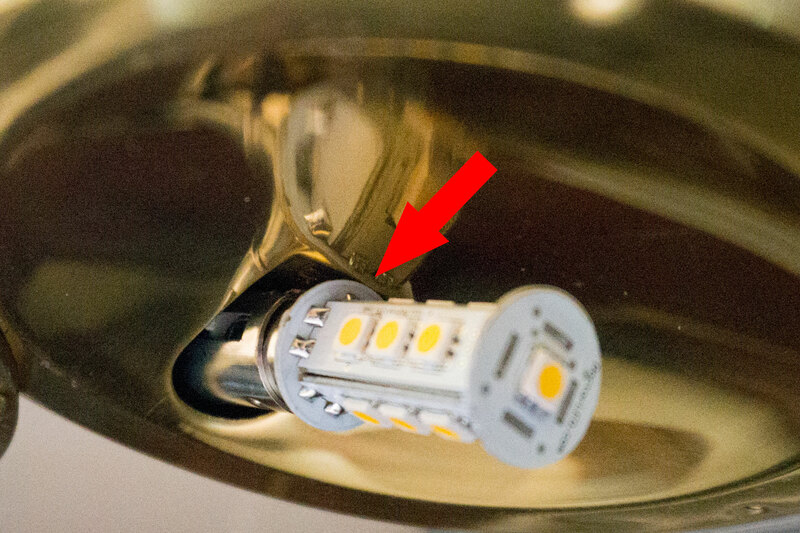 LED bulb had clearance issues on all three of my salon dome lights. 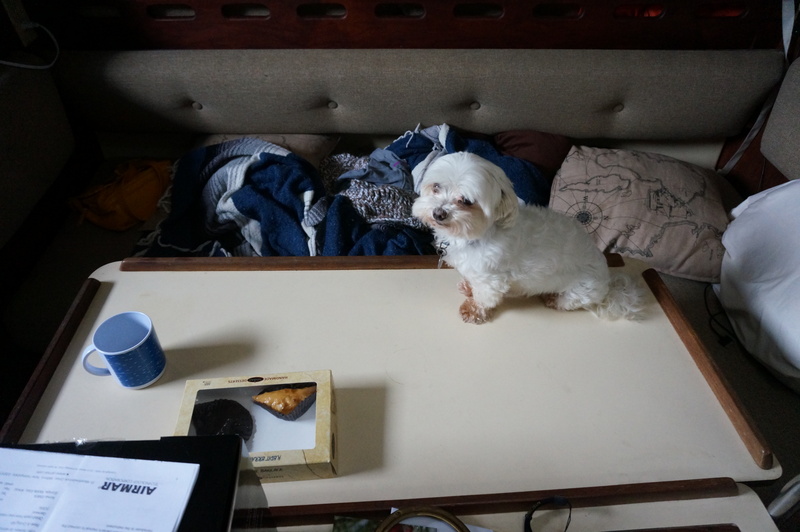 Meanwhile, as I was distracted with taking apart every light in the cabin, this guy was suddenly on the table and sneaking towards the last piece of baclava. After reassuring Tex that while I was enthralled with the light fixtures, I was not unaware of his activities, he went back to sleeping in the blankets, and I put the Dr. LED bulb back in the head and moved the HQRP bulb into the salon. While the diameter of the two bulbs was the same, the HQRP bulb fit better, but it had some minor clearance issues as well. Maybe there’s just not a way to manufacture a taper into shape of these replacement bulbs, but if I was designing them, I would lengthen the plug portion of the bulb by 2 or 3 millimeters to fix the clearance issues. I think we’re going to order another half dozen bulbs from HQRP-USA to finish switching all of our lights to LEDs, but if you know of another good supplier that’s even cheaper, please write us and let us know. 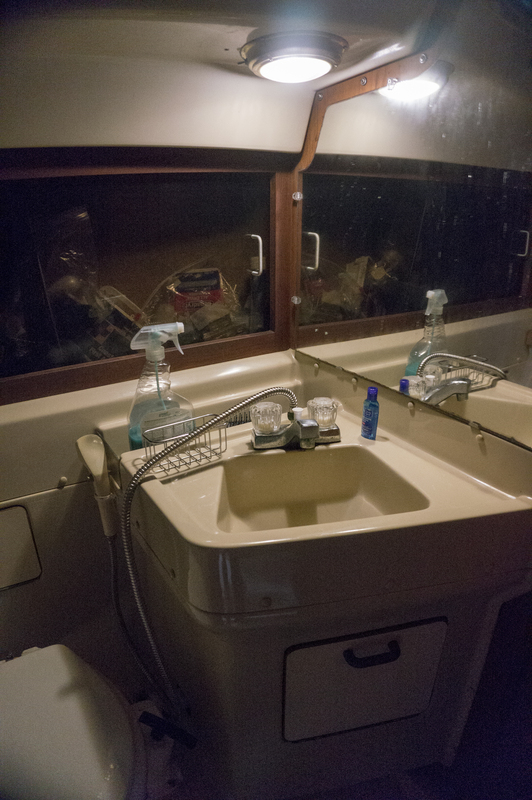 I have used several LED bulbs on my 34 C&C. The issue with the ones I have used has been that they must be connected and wired properly positive and negative to the bulb. Issue is if they were sloppy while wiring them they do not have the correct connections to the fixture. As far as brands I have not found any more superior. I did appreciate your in depth observations and will work harder at being more observant in my comparisons in the future.